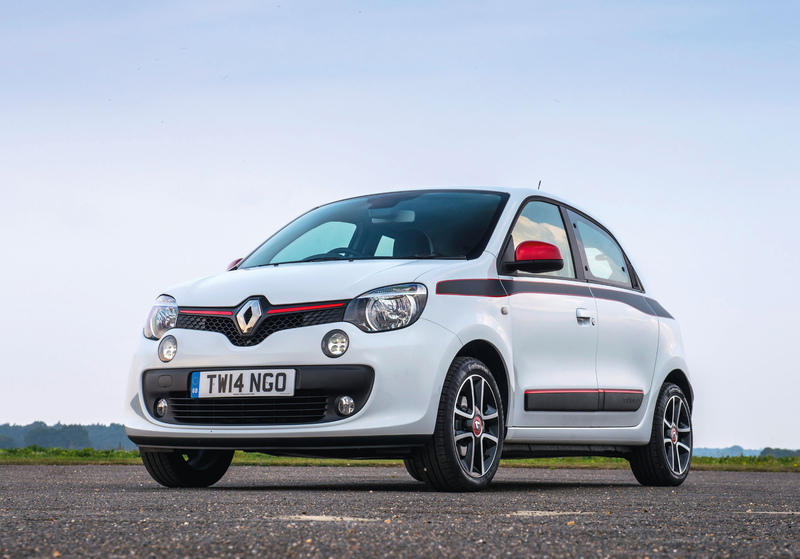 The Renault Twingo is an increasingly popular city car and the firm has now introduced a new flagship sporty model. The Dynamique S TCe 90 comes with a host of extra kit as standard, the previous option of a ‘Sport’ pack is now also standard. Under the bonnet there’s a 0.9 litre turbocharged petrol unit which produces 90HP. The flagship model will go from 0 to 62 mph in 10.8 seconds. The car also has CO2 emissions of 99g/km. The Renault Twingo Dynamique S has a top speed of 103mph and should return an impressive 66mpg on the combined cycle. Renault says owners will see fuel economy of more than 50mpg for urban driving. Owners can also boost fuel economy by using the gearshift indicator effectively and there’s also an ECO switch which will alter the air con and the throttle power. Among the standard kit for the car is a red interior ‘Touch’ pack, part leather upholstery and an aluminium pedal set. The cabin is a comfortable place to spend time in with nice styling touches to the centre console, steering wheel and air vent. The new Renault Twingo has been made more distinctive from its siblings with 16 inch sport alloy wheels, decals and red and white painted stripes which appear on the grille, mirrors and door protectors. Owners for the new Renault Twingo Dynamique S will also enjoy fog lights, cruise control, LED daytime running lights, lane departure warning system, air con and white instrument backlighting. All Renault Twingos come with electric power steering, gearchange indicator, electric windows and a trip computer. There’s also a neat system which sees the rear screen wiper being activated when reverse gear is selected. The safety kit list on board also impresses and includes emergency brake assist, electronic stability control, tyre pressure monitoring and hill start assist. Practical touches include a split folding rear seats and a folding front passenger seat. Renault also claim that the car’s steering has been improved to give a firmer feel when driving around town and that the car is easier to manoeuvre in heavy traffic. Prices for the Dynamique S start at £12,545 OTR and a four-year warranty and assistance package. This entry was posted in Car Leasing, Car Updates & Releases, Cars, New Cars, Small Car and tagged lease the Renault Twingo, Renault Twingo, Twingo by Steve Lumley. Bookmark the permalink.